It’s so hard for me to clean up my office. I’ll see a random collection of objects that I’m supposed to be sorting, putting away, and/or throwing in the garbage.. and I can’t help playing with them instead. This time the objects in question were an old CCFL backlight inverter, a neon flicker-flame bulb, and a linear table from a discarded flatbed scanner. These flicker-flame bulbs have two metal plates in them. Normally, the 60 Hz AC power charges the neon gas between the two plates. The current isn’t high enough to uniformly light the neon along the entire plates, so you end up with an unstable flickering region caused by the gas non-uniformly ionizing along the surface of the plates. As the 60 Hz power cycles on and off, there are frequent opportunities for the ionization to break down, and for the lamp to re-light with a different pattern of glow discharge. 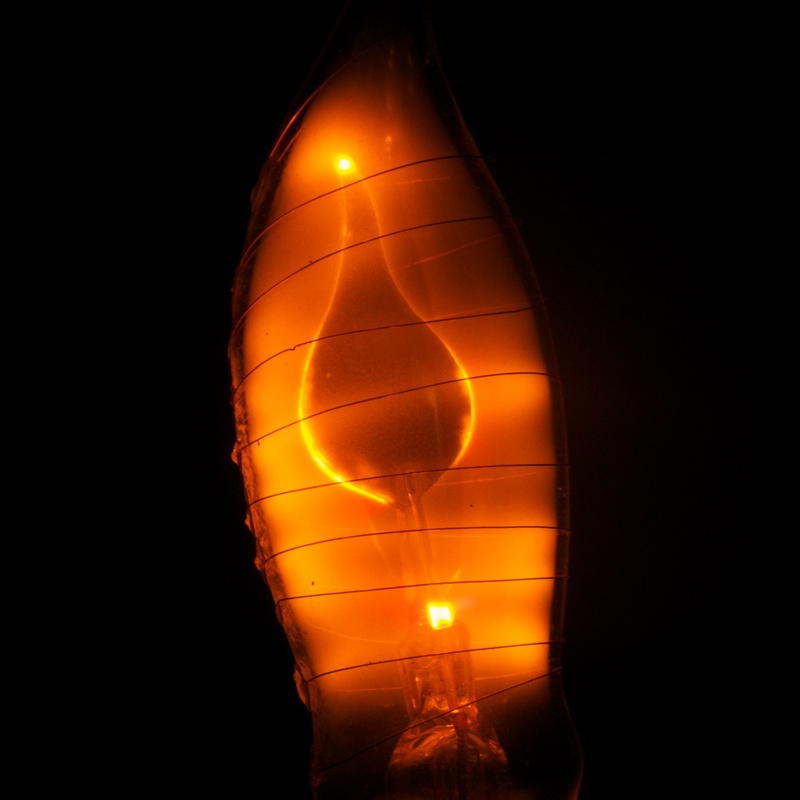 This entry was posted in Projects and tagged hacks, high-voltage, mini-project, neon, Photography on May 8, 2011 by Micah.